Sunny G Acres is proudly owned and operated by Carmen & Dorie Gruetzmacher of Letts, Iowa. We are located in the southeastern part of Iowa, 25 miles south of Interstate 80… just 12 miles from the Mississippi River town of Muscatine, Iowa. 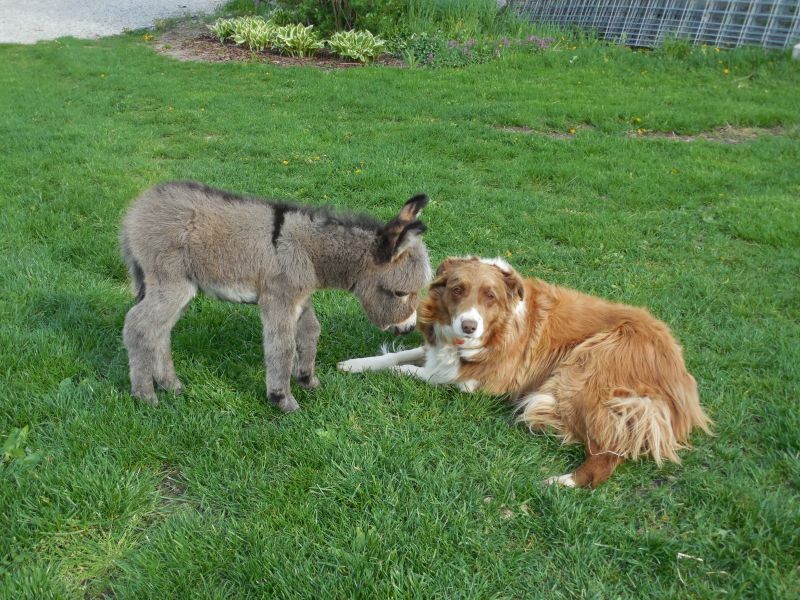 Raising Quality Registered Miniature Donkeys & Micro-Mini Donkeys has become a passion for us… they are our “kids”. 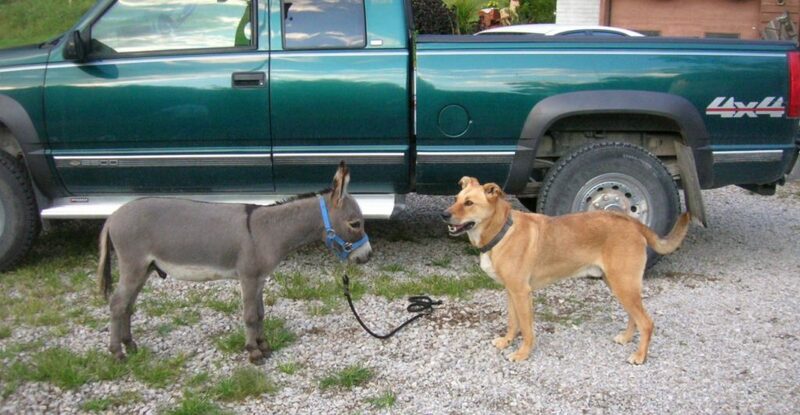 Anyone who’s been around miniature donkeys knows how sweet and loveable they are. Our donkeys are handled daily and given LOTS of TLC from the day they’re born! We give our jennies time off between foals; therefore we only have a limited number of babies for sale each year. We are there for almost every birth and imprint all our foals. We do our best to give each and every donkey the love, care, and training that makes them happy, well mannered, and socialized, so they can provide a lifetime of enjoyment. Our donkeys are all microchipped for identification purposes. 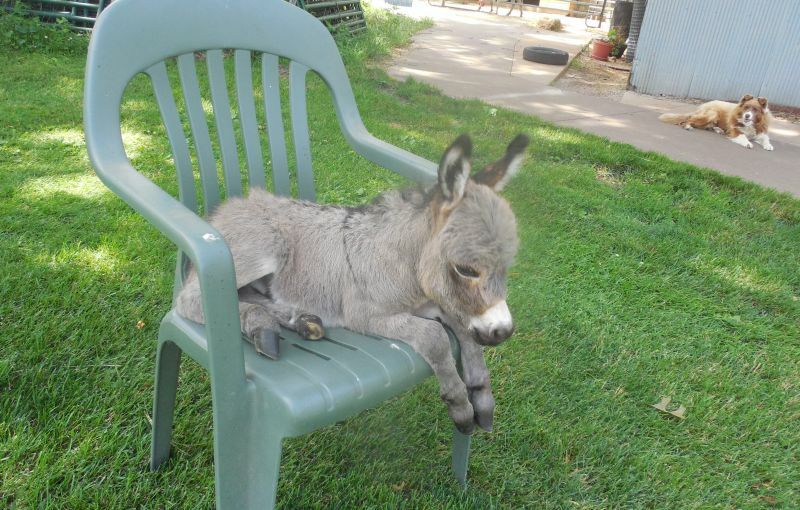 Many of our donkeys are DNA typed as well. All donkeys are kept up to date on vaccinations and deworming. Hoof trimming is done on an as needed basis. 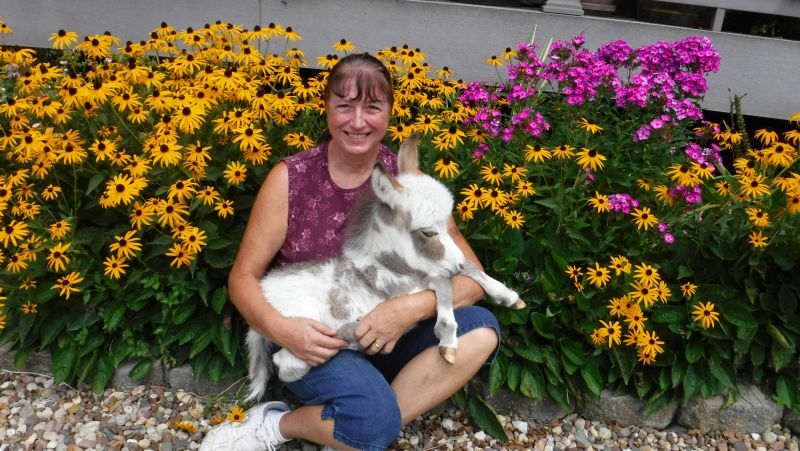 In our breeding program, we strive to raise miniature donkeys and micro-mini donkeys with great conformation, extended pedigrees, wonderful dispositions, as well as small sizes and in a variety of colors. 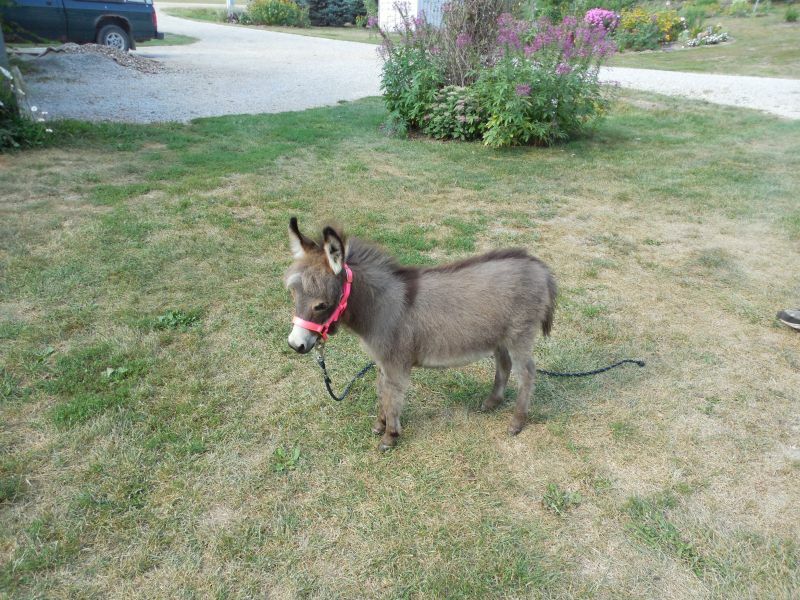 We specialize in micro-mini donkeys. 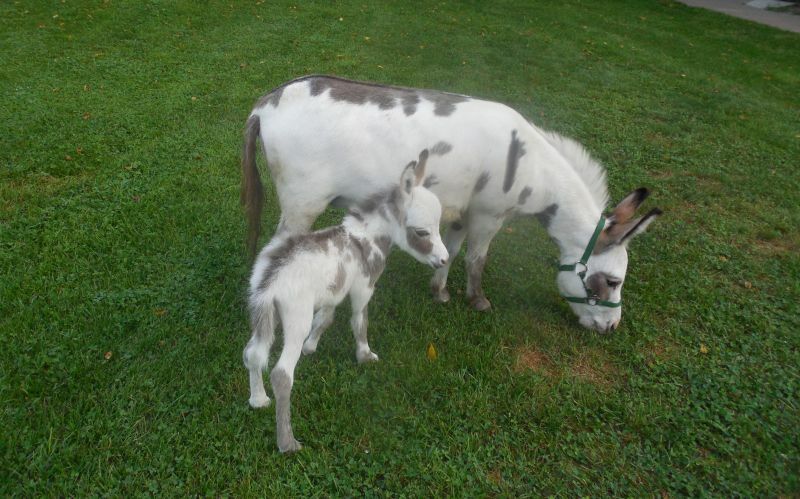 We have one of the smallest mature Miniature Donkey herd sires in the world “Sunny G’s Starbuck”. 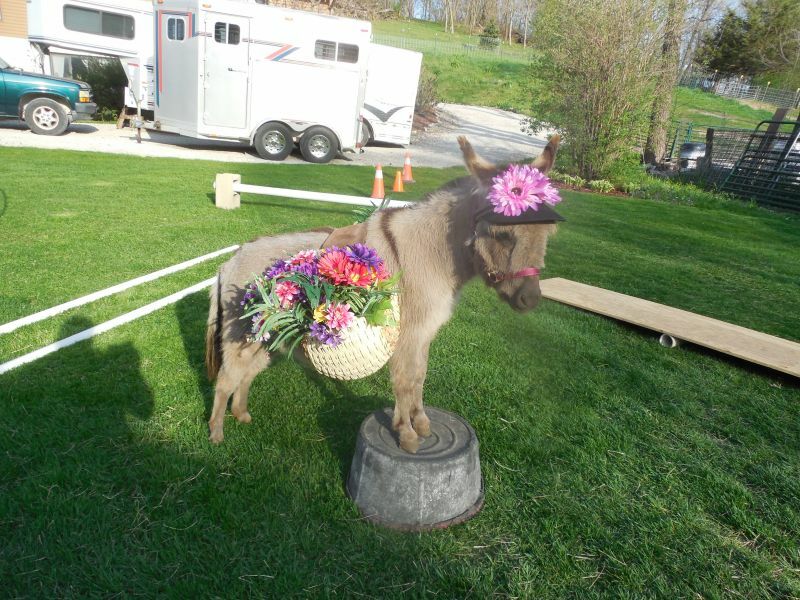 Starbuck is less than 1/4″ taller than the Guinness World Record’s shortest registered Miniature Donkey. Starbuck has nice conformation and throws wonderful small foals. 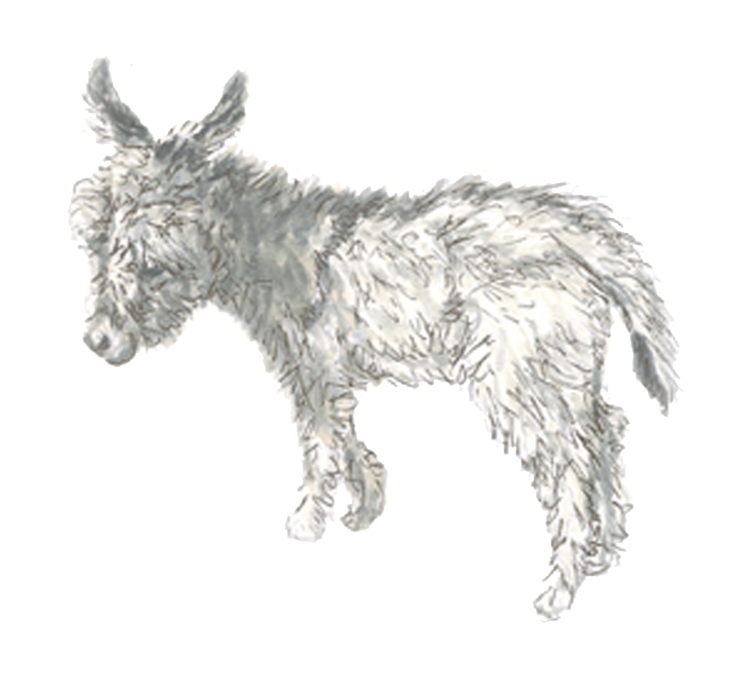 In addition to Starbuck, we also have a number of other outstanding micro-mini herd sires to compliment our small jennies. Some are Starbuck’s sons, and others are from unrelated bloodlines. 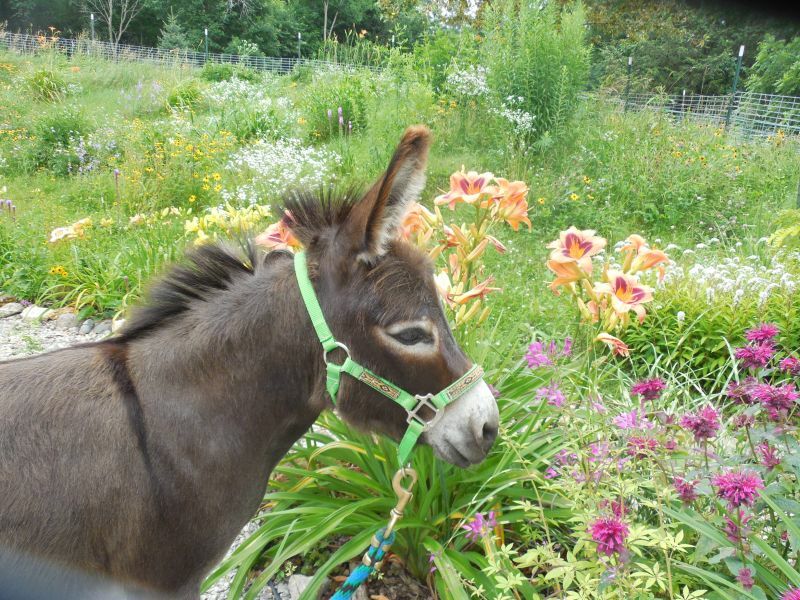 We feel blessed and thankful to have such a wonderful micro-mini donkey herd!!! Visitors and inquiries are welcome, please contact us to schedule a visit. We love showing our donkeys and talking to other animal lovers. 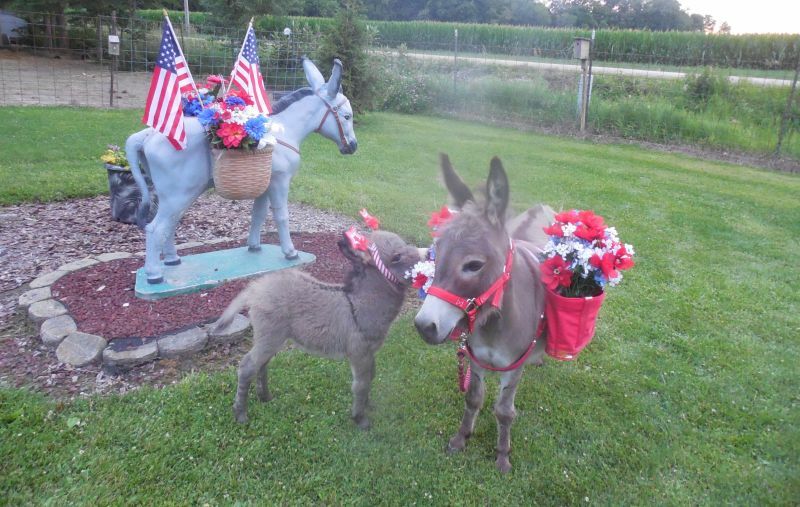 We have met many wonderful people through our donkey adventures… both here in the USA and overseas. 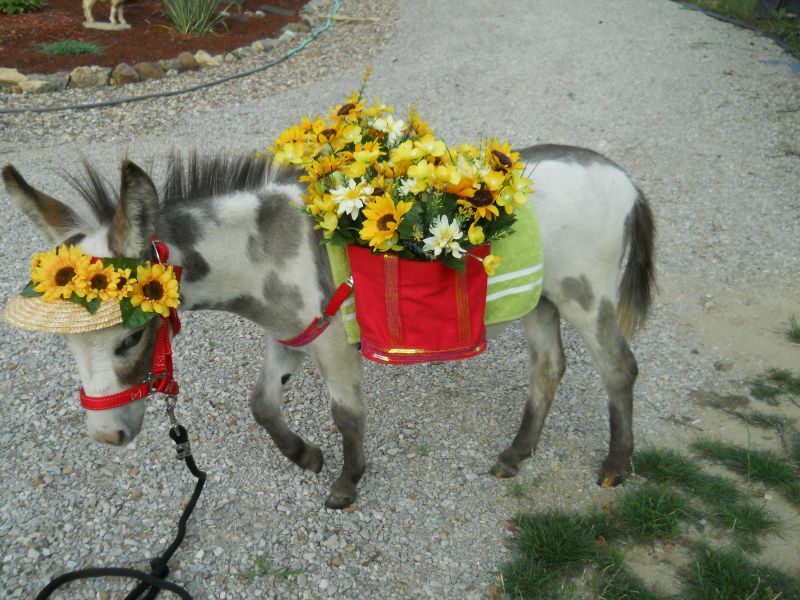 Sunny G Acres has many years of donkey experience, including exporting donkeys around the world. 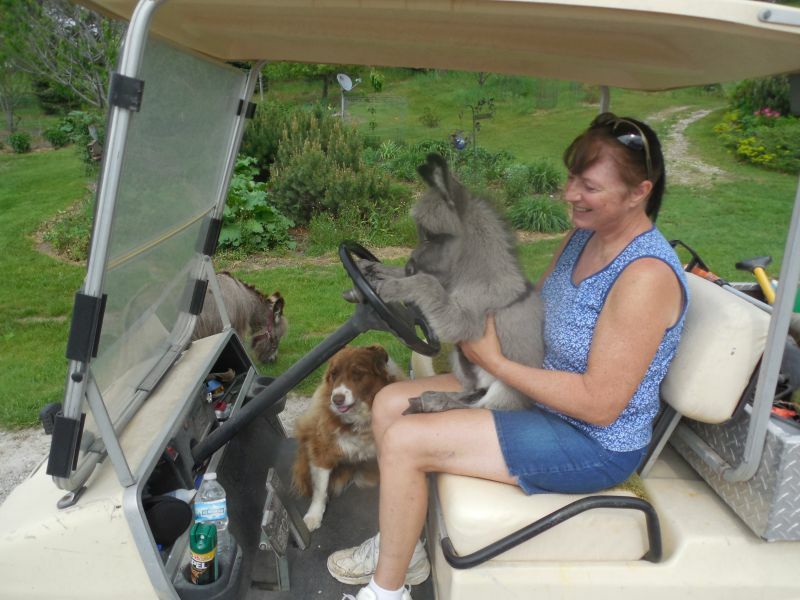 We always look forward to meeting others who share our love of donkeys. 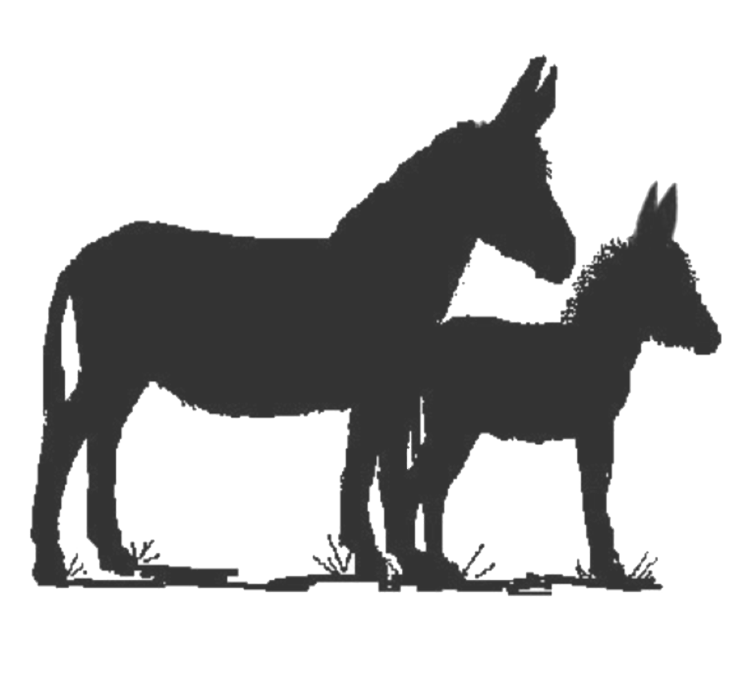 We hope you enjoy our website and consider us when buying your ‘first’ or ‘next’ donkey.